On today’s episode of THE FOOD SEEN, James Briscione turns big data into delicious recipes.. While Director of Culinary Research at the Institute of Culinary Education (ICE), Briscione worked with IBM’s Watson computer to mapped out flavor combinations which challenged the pre concepts of what tastes good together, and why. From there, The Flavor Matrix was born! 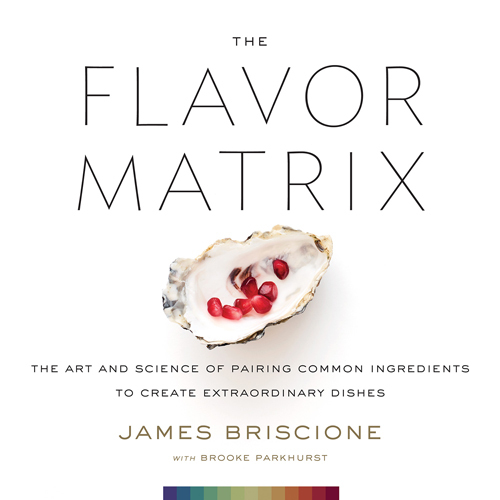 As a book, it’s a guide to pairing ingredients chemically by their aromatic compounds. As a cook, you’ll open up a world of creativity far past your personal palate of taste memories (e.g. garlic and cocoa, artichokes and sesame, corn and coconut).